Adults Willy Wonka Costume including Jacket, Mock Waistcoat, Trousers, Hat, Bow Tie, and Cane – Ideal for Book Week, or a TV & Film theme! Transport yourself into the magical world of Willy Wonka’s Chocolate factory with this stunning Adults Willy Wonka Costume. 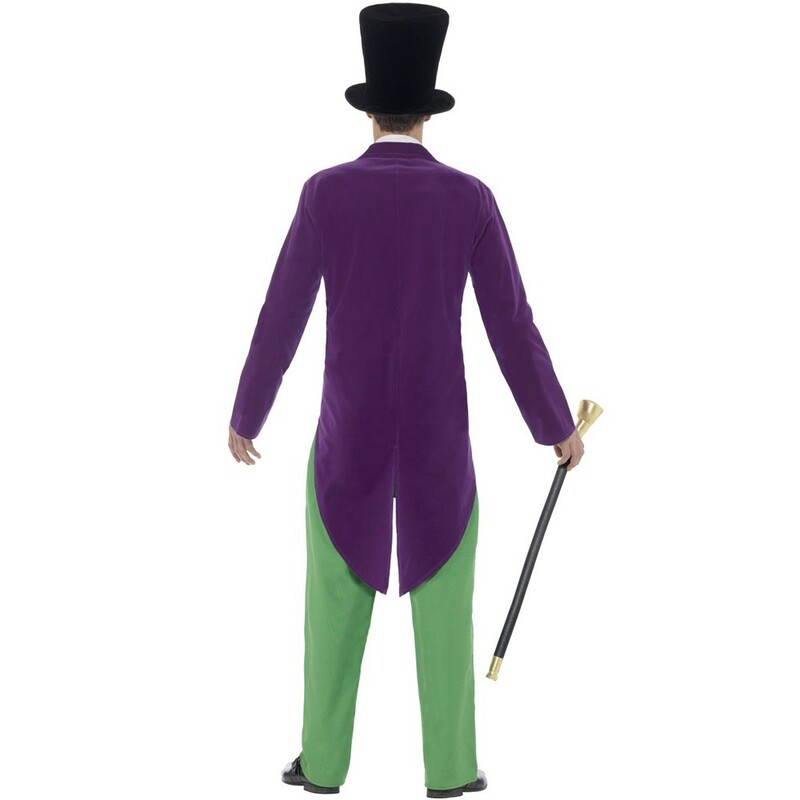 This licensed costume comes complete including a Jacket, Mock Waistcoat, Trousers, Hat, Bow Tie, and Cane. The Purple velvet Jacket features a tail coat design with a large collar, an attached yellow Mock Waistcoat with button details, and an attached White Shirt Insert with collar detail. 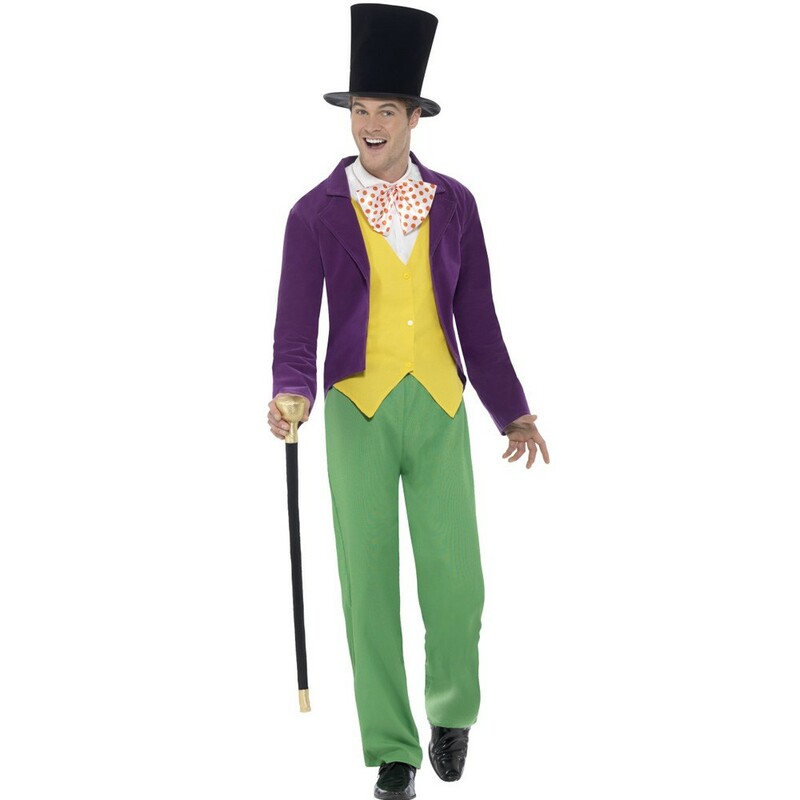 This fantastic Adults Willy Wonka Costume also features a pair of bright green Trousers. 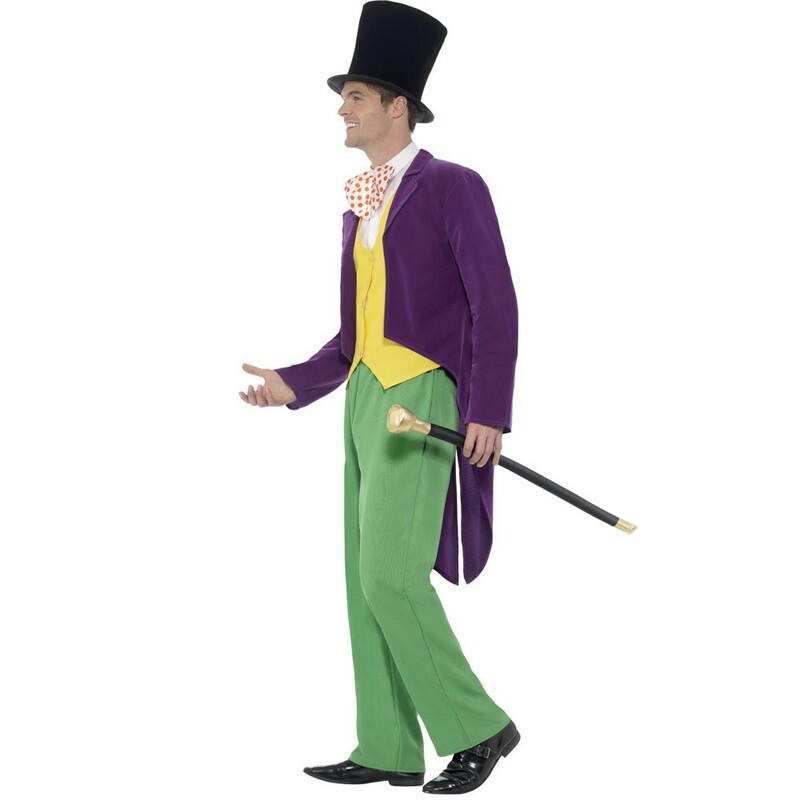 This Adults Willy Wonka Costume is completed by the large Black Top Hat, the oversized White Bow Tie with Red Polka Dot Design, and the Black and Gold Cane. This Adults Willy Wonka Costume is perfect for World Book Day, a TV & Film theme, or any fancy dress occasion! So let your imagination take you away with this incredible Adults Willy Wonka Costume. A licensed Adults Willy Wonka Costume.